Kaitlin Barnhart is the Co-Founder of The Mayfly Project. She joined Jess and Laura Westbrook in 2016, to help bring TMP to the national level and establish a universal program to support children in foster care across the country. Kaitlin grew up fishing with her grandparents and camping with her family in Northern California and Northern Idaho. She spent her time in college at Pacific Lutheran University, playing volleyball and working for Child Protective Services and Juvenile Detention of Tacoma, WA. She worked for the Panhandle Forrest Service, conducting stream surveys for bull trout habitat restoration projects during the summers. After she received her Bachelor of Arts degree in Psychology, Kaitlin headed to Alaska to work at a sportfishing lodge and fell in love with fly fishing. During this time, she learned how to use fly fishing specifically to decompress from a stressful year working with troubled youth in Tacoma. Her dream quickly developed in 2004, of using fly fishing as a tool to support youth in foster care in healing from trauma, finding mental rest, and connecting to nature. So when she began her career in the mental health field, she always found opportunities to take youth fly fishing or to connect with the outdoors, with the long-term goal of eventually starting a non-profit to support her ideas. Once Kaitlin gained her bearings after building her family with her husband in North Idaho, Kaitlin started to take foster children fishing more regularly and eventually connected with Jess of TMP in Arkansas. After Kaitlin and Jess started talking about the similar ways they were using fly fishing to mentor children in foster care, they decided to partner up and develop the national TMP program. Beyond The Mayfly Project, Kaitlin is a freelance writer, published in several fly fishing publications, and enjoys time fishing year-round with her family in Idaho. She dedicates her success to her mother, Stacey Calvert, who taught her how to 'hold space' for those who need love and support most. “We believe that water heals, and that getting kids outside, learning skills, and finding joy can be transformative in many ways. We also believe that children are resilient, brave, and beautiful from the inside out. By connecting kids with mentors, fresh air, camaraderie, and the challenges (and thrills!) of fishing, there is hope. We are thankful for the amazing work that The Mayfly Project does for foster children and proud to announce our commitment to support their efforts across the country,” April Archer, SaraBella Fishing. When The Mayfly Project national program first developed, Founder, Jess Westbrook, and Co-Founder, Kaitlin Barnhart spent hours on the phone, talking about the value in the gift of a fly rod and that by introducing youth to rivers we are leading them to a positive place in this difficult world. So when the TMP team first met April Archer, CEO of SarahBella Fishing, the conversations about using fly rods to help improve lives and to give greater purpose, were right in line with their developments with TMP. “We appreciate SaraBella Fishing’s unique business goals where they create “smart beautiful” fly rods that perform with excellence and are made with purpose, while also supporting nonprofits that are improving lives through fly fishing,” Kaitlin said. Each SaraBella rod is hand crafted in Colorado, by survivors who have endured some of life’s most wild challenges. They value grit, passion, the environment, and the power of positivity. They care about the watersheds of our planet and the humans that depend on them. They strive to make excellent products that make profound impact. This unique collaboration began over five years ago, as both SaraBella Fishing and The Mayfly Project were emerging linearly, and now have partnered together to make an even bigger impact on their communities. Here is a Q&A with SaraBella Fishing CEO, April Archer, and TMP Co-Founder, Kaitlin Barnhart, to explain the uprising of this new partnership and the plans they have for it. How did SaraBella and TMP cross paths? Tell us why you’re excited about this SaraBella and TMP Partnership? I met Kaitlin via social media several years ago. Our first phone conversation was genuine, action-oriented, and full of great camaraderie. Kaitlin has written a couple blogs for SaraBella Fishing, and we have supported each other through life’s ups and downs -- both personal and professional. We cheer for each other’s success, and we pray for each other’s children. We also love to fish -- in wild and chaotic ways -- with our friends, families, and communities. I admire Kaitlin’s ability to write, to share stories and experiences, so that more human may experience fly fishing in fun and refreshing ways. She is an incredible woman, mom, leader, and activist. She makes big impact every day. Over the years, we’ve witnessed the evolution of SaraBella Fishing and The Mayfly Project. I love what this organize does and the people who make it happen. It’s a natural fit for SaraBella to collaborate with The Mayfly Project, and we look forward to continued impact (and adventures!) ahead. I met April through Facebook around 5 years ago, I believe after she read one of my strange blog posts about mixing motherhood with fly fishing. Once I read up on SaraBella Fishing I was enthralled with their mission and felt it was so needed in the fly fishing industry, but I had no idea I would end up talking to someone who mirrored my passion completely. Our first phone call was well over an hour long--I remember soaking up every word she was saying, thankful to have met another woman in the fly fishing world who truly understands the therapeutic value in fly fishing and who genuinely cares about taking care of people through river adventures. Since then, I’ve appreciated April’s friendship greatly and I’m always inspired by April and how hard she works to build her company with human-focused goals, her influence on women joining the sport of fly fishing, while she also juggles motherhood and her own fly fishing addiction. I’m thrilled to have the opportunity to collaborate with April and receive support from SaraBella Fishing because their mission aligns perfectly with TMP-- we both strive to improve the lives of people and believe that we can lead people to the rivers through the gift of a fly rod, and there is healing that takes place in the process. Just listening to April talk about how passionate she is about supporting non-profit work and giving back to local communities, is inspiring to us. We are excited to see what we can do together. Tell us some important facts in your industry about the value of the gift of a fly rod. The gift of a fly rod is a gift of adventure and love. Giving a SaraBella fly rod is truly special. It will be made in Colorado, by the hands of Survivors, with carefully crafted excellence.SaraBella Fishing is the only woman-owned fly rod company that focuses its outreach, education, and product development on serving the female anglers. We sell to and support ALL anglers, and we love bringing more women/girls into the sport. Jess Westbrook and I not only deeply understand the importance of giving the gift of a fly rod to foster children, but we have been able to experience, several times in the last three years, the thrill, their boost in self-confidence, the new ways the youth we work with are starting to see themselves and how they view the environment--all from an experience with a fly rod. In 2018, and because of essential partnerships in the fly fishing industry, community and beyond, we have mentored and gifted over 100 fly rods to youth in foster care. What many people don’t understand is that foster youth rarely get an opportunity to spend time in the great outdoors, unless they are placed with foster families that value these experiences. We have to work hard to get approval to take these youth out to the rivers, but when we see them catch their first fish, or not worry about where they are going next for a bit, we know the gift of a fly rod is so essential for foster youth specifically. We are thankful to partner with so many companies that understand the gift we are providing and who want to join us in not only leading more youth to the sport, but creating future conservationists who value outdoor environments. What do you hope to impact from this collaboration? In what ways does SaraBella or The Mayfly Project fill a gap in their industry? We recognize the importance of inclusivity and bringing youth into the sport of fly fishing. We believe in making excellent products that ALSO make a positive impact. We hope that more foster children will gain access to fly fishing as a tool for healthy, positive living. We know that if youth have positive experiences in the outdoors, it opens up a new world for them--to a place where they can not only find healing in their own lives, but find a connection that they will want to care for in their futures as well. The Mayfly Project is unique because we are introducing a population to the outdoors that would most likely never get this opportunity otherwise. We are using the rivers to help youth, while also teaching them how to help the rivers. SaraBella is so unique in that they create custom fly rods that have a human-focused footprint on them. They employ veterans to build rods, they give back to those who need healing, such as women battling breast cancer or foster children dealing with PTSD. SB’s business goals have always pivoted around helping their communities, and we are thrilled to have been chosen as one of the non-profits they want to support! SaraBella is providing consumers have the option to purchase a rod or a gift certificate for a loved one and choose TMP to receive $75 with every rod sold. The give-back code is: SB-TMP75. SaraBella is also committed to working with TMP to help provide education, support, and provide more opportunities for youth in foster care to experience the great outdoors. Please help us thank SaraBella Fishing for their support and for helping The Mayfly Project hold space for youth in foster care in 2019 and beyond! It seems there’s a rumor going around that I’m an exceptional person. Every time I mention to someone that I’m the Lead Mentor for The Utah Mayfly Project, I’m greeted with “What you are doing is amazing” and “You’re inspirational” and “You have the best hair.” (Okay. Maybe not that one. But I really want good hair.) My inbox has been flooded with over-the-top kindness from people telling me how incredible I am for doing this, and if truth be told, this causes all kinds of anxiety because I know the truth, and it’s time to let the masses in on it. There’s a false belief that you must be some kind of “special person” to bring a child into your life that isn’t your own, like I must possess some above average ability to care for or connect with a child. While I covet every word of encouragement and appreciate the thoughtfulness, I can’t have people thinking I’m anything extraordinary. Because I’m simply not. I’m just one person trying to make a difference. As excited as I am about mentoring fostering kids, they certainly aren't excited about being foster kids. My personal sense of excitement does not drive my efforts; their personal tragedy does. Heartache that has followed them most of their life is always on my mind. My desire to see good come out of bad, a willingness to embrace what is broken and do whatever it takes to bring healing is what drives me. My point is, there is nothing special about me. I’m a little weird, messy, and sometimes I’m not overly friendly. I get aggravated. I get tired. I have both fear and faults. The only thing “special” about me is that I have the privilege of spending time with some AMAZING children, which would not have been possible if I hadn’t signed on as a mentor. I get to spend time with children like Ms. Mariah…… a little girl who’s had a rough start in her short years on Earth. Mariah was born in 2009 and was immediately placed into the foster care system. 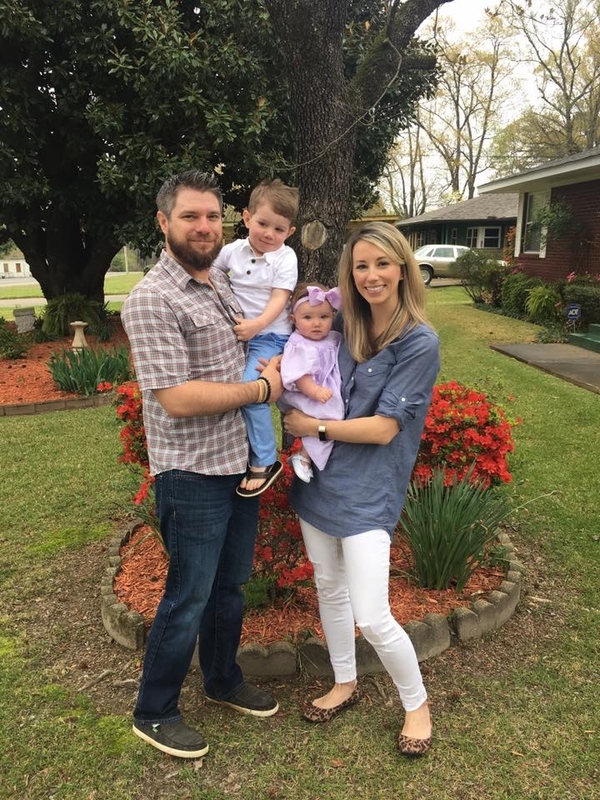 When she was about a year and a half old, she was sent to live with Brian and Miranda S., her foster parents who happily agreed to take her into their home. Mariah was one of the lucky ones, as she was eventually adopted by her foster parents in 2011. Over the years, her adoptive parents divorced, but Mariah knew she was loved by both regardless. Unfortunately, on January 16, 2017, on Mariah’s 8th birthday, her mother passed away from ovarian cancer. Mariah has had a rough year, while her and her dad struggle to make a new life for themselves without Miranda. Mariah’s dad is an avid fly fisherman and a veteran. He knows the healing power fly-fishing can have on the soul, and is hoping that with The Mayfly Project’s help, Mariah will be able to heal a little more, giving her heart a chance to recover after the loss of her mother. I get to spend time with children like Z…. a young teenage boy who has been in and out of foster care most of his life. At 14 years old, living in a treatment facility, Z has struggled with being able to control his emotions. I was told that at times, he can be somewhat volatile and aggressive, prone to violent, physical outbursts. We were told that he really struggled to express himself to others, and without the words or outlet to express his emotional pain, he resorted to “self-cutting”. We were told we would need to perform “hook checks” after each outing to ensure he hadn’t taken a fly to be able to injure himself with it later. Upon meeting Z, I was made aware of the remnants of past and present cuts, as evidenced by his inability to take off a long sleeve shirt in 95° weather because of the shame and embarrassment he felt from all the scars on his body, while fresh cuts were still bandaged. But what I also saw was a truly charismatic young man with an infectious smile. I saw a child who was eager to learn all he could about fly fishing and when instructed, was an absolute natural. I saw a Mayfly mentor develop a quick and heartful connection with Z, and upon asking Z what his high and low for the day was at the end of our last outing, he answered, “My high was that guy” (as he pointed to Danie, his mentor). Then, with a huge grin on his face, he said, “Man, I don’t have a low”. So instead of focusing on me and what I’m doing, let’s focus on these children and what they are enduring and battling through every single day of their lives. THEY are the amazing ones! THEY are the ones who are inspirational. Celebrate the opportunity to open your hearts to kids in need, knowing that if it be for just a few days or (if you make that magic connection) maybe even a lifetime, you've been given the unique opportunity to offer them some things that are desperately needed - love, guidance, compassion, and attention. The Mayfly Project's new Conservation Initiative!!! We are proud to announce The Mayfly Project’s new Conservation Initiative--we believe children in foster care need rivers and our rivers need a generation of conservationists. The Conservation Initiative is designed to provide an opportunity for our youth to be involved in caring for the river ecosystems they are privileged to enjoy, which creates a cycle of healing in not only the youth participating, but in the rivers we cherish. Why is teaching conservation to youth in foster care important? The children we mentor are dealing with the results of a broken childhood. By providing time for these children to use their own hands to help heal a river system or to take care of a trout they catch, is instilling in them a cycle of something positive--they get to feel good about having a hand in making the world a better place. What is The Conservation Initiative? Clean Rivers - Mentees will learn how to leave the river better than they found it by picking up garbage and recycling the trash we find. TMP is Teaming up with Fishpond to provide all mentees with micro trash bins to keep our trash contained. Contamination - Scientists believe that aquatic invasive species are one of the greatest threats to America’s trout and salmon. We educate mentees about this expanding threat and develop appropriate “gear-hygiene” so that we do not contribute to the problem by providing wader and boot washing stations at every project. Join our efforts in taking care of children in foster care and taking care of our environment through our Conservation Initiative! All donations and funds from the conservation shirts purchased goes towards supporting this cause! You know you’ve arrived as a mentor when your mentees run to your car with a net in hand they made from a laundry bag and zip ties, and a ziplock baggie full of coyote hair. The 3, 14-year-old boys jumped in my car, eager to share their stories about how their neighbor saved their chickens from the villain, coyote. One of them said, “That’s pretty gross you want this hair”, and I told them, “Ya, fly fishing folk do some strange things with roadkill too -- keep your eyes out for a dead, red fox, boys!” They laughed, no doubt thinking they have never met a gal *that* excited about a dead coyote (I was more excited they thought about us and about river-time, actually). DJ on the radio, and swapping stories about our summers (I also learned cool facts like drinking Mountain Dew limits your sperm count and how to fatten a lamb for 4-H). the allotment, each boy ended up with a pair that fit! Woohoo! fish were easily spooked by 14-year- olds clanking around. It took them a while to remember how to cast and how to approach a fishy-section of the river. But I loved how they just took charge and picked their own flies and tied their own knots. “Trust your instincts,” we would say, and then we would resist the urge to take their fly rods and drift it how we had in mind. They missed about 4 fish slurping their fly, which was exciting for all of us. And they sometimes asked for advice, but otherwise felt like they had it. Cutty. I heard one of the boys yell really loud so I ran over to see he found a bright red “lobster” aka, Crayfish. They all became river-explorers and lobster hunters for the last few river meanders. It reminded me that these days aren’t all about the fish sometimes. It was important to follow their lead instead of expecting them to be professional fishermen. We drove for a while up a river (did I mention anytime we were driving or paused the boys were eating constantly? A whole bag of cheetos in a half an hour?!) and met up with another mentor, Matt, and continued to stalk trout. The boys casting improved after the first morning session, (it always amazes me how quickly these kids can learn). We finally found some fish feeding in the afternoon, but right at that time we had several visitors with dogs show up at our fishing spot (grrrrr), and by this time a couple of the boys were somewhat worn out with fly fishing and became intrigued with searching for river animals anyways. We drove up further to just show they boys more of the river and the animal hunt continued. They found mussels, a giant dead trout, a bull frog, a tiny snake, a sculpin, and helped me knock a few piles of stacked rocks local “artists” thought would be cool to do in the river (bad for the bugs and river dynamics, don’t build these). about the river habitats and the balance that depended on the critters that lived there (no lobsters were harmed during this phase, but I’m pretty sure an arm ended up in my car because it smells like more than 14 year old boys were there). We fished hard again for a bit and realized that the boys really just wanted us to walk the rivers with them. instead of other words they would accidentally say when they found something amazing for show and tell-- and they taught me that sometimes you just have to say ‘yes’ when they want to try to skip a rock through a fishy section, if that’s what they really want to do. Their favorite parts of the day were when we were just exploring together, when Matt let a lobster pinch him on the finger, when Ben caught a huge fish, and when I let them mix all of the various soda’s at Taco Bell and get donuts. river creatures. I couldn’t help but smile, give their adoptive/foster mom a huge hug for what she has provided for these kids (she was so glad to have a day off too), and wish them well on their first week at school. We talked about next time, and I can’t wait for Fall to cool off our rivers so we can chase some big fish...or some tiny crawdads…. Even though I always leave feeling like I wish we could do more, I now that what we do is important. Adding to their positive-experiences-list is a gift. There is a healing property with water that has the potential to calm and the the soul. I have always had a deep love and connection with water for this reason. When I came across the website for The Mayfly Project, I knew I found the perfect fit to share my love for water and the outdoors while also providing guidance for others. I wasn’t sure what to expect when I first joined The Mayfly Project. I knew that I wanted to become more involved in working with foster kids, but I was also excited for the opportunity to find other interested mentors in the area and build a bigger community of fly fishing enthusiast that enjoy giving back in the state of Nebraska. I was excited to provide an opportunity for foster kids that shows them how they can be successful in the outdoors or on the water, as well as provide consistency and companionship. I must admit, I was a little nervous when I started with our first group of foster kids. I wasn’t sure how interested or engaged these kids would be. I kept thinking, what if they hate it, or they can’t catch a fish? What I found as a mentor is these kids just appreciate any time they get to spend with you away from their day to day lives. On our last outing, there was much more excitement over looking for macroinvertebrates than there was catching a fish. To be able to provide a sense of serenity and belonging for a child that might struggle with their place in this world is such a blessing. The Mayfly Project is an incredible organization that I am so happy to be a part of. Knowing that I can help give these kids the tools to find their happiness and quiet during a busy or tough day truly fills me with joy. That smile they have when they land their first fish, or the laughs after they lose “the big one,” I hope it is something they will take with them for years to come, I know I will. Our Second Chance Ranch last outing was this past weekend and we had an absolute blast. All kids caught at least 4 trout!!! We had 3 new mentors join us for this outing as always North Arkansas was so great to us - Lemleys Rock Cabins donated rooms for half of our mentors and the Kirby's donated their cabin for the boys and our new mentors. Of course the kids were stoked to walk into their cabin to find a new rod, reel, pack, flies, nippers, etc on their bed!!! Nativ also stepped up really big by donating shirts, hats and water bottles for all the kids. And Kroger kept us fed all weekend. Super big thank you to all our partners for making this happen!!!! Coming up in Arkansas - We are going to partner with Project Zero and Nathan Willis films to shoot another short film on February 4th!!! This weekend we will be headed to Dry Run Creek with 5 children we have been mentoring at Second Chance Ranch. We are so excited for these kids - they will get their own fly rod, pack, fly box, leaders, indicators and nippers. We will also be meeting up with 2 children that we have mentored in the past and we will have mentors working with them as well. We are so blessed to have 3 new possible mentors joining us this weekend to see what TMP is all about!